For many years hot tub retailers have been praying for dry post-spring months to boost profits before the winter. HTR readers share their views on whether the exceptional hot summer resulted in melted footfall or sizzling sales? Prolonged dry and warm weather can generally be relied upon to increase consumer spending with the ‘feel good factor’ and get those cash tills ringing to make or break a retailer’s financial year. During 2012 the heavy downpours could not dampen a number of hot tub big-hitters from surpassing their sales records from the previous year, but these once-in-a-century rain levels left everyone else wondering what would have happened if the sun had shone brightly throughout the previous summer months? This time around Britain shivered into a record-breaking cold spring to delay any early opportunity of getting off the 2013 sales blocks with strong performances, with March being officially confirmed as the second coldest since records began with a mean temperature for the month of a lowly 2.2°C. Forecasters then wrongly predicted that there would be a wet and cool summer before the Met Office was forced to issue level three heat warnings later in the year as the nation sweltered under the hot sun. By the end of September, the economy had been declared to be on the road to sustained recovery, after it was provided with months of being blessed by a sun-kissed sales tonic fuelled by improving consumer confidence that boosted all sectors and gave the high-street a much needed injection of revenue. Sales of ice cream increased by 21 per cent compared to 2012’s wet summer months. Meanwhile, sales of fans and air-conditioning units at B&Q were up by a staggering 300 per cent compared to 2012 and in one week alone the DIY chain sold 28,000 paddling pools. Along with an astonishing huge increase in desktop fan sales, Amazon was another retailer reporting that paddling pool sales had also been extremely strong with demand that shot up by 816 per cent. Any retailers stocking sunglasses would also have experienced increased customers as part of the 134 per cent growth in women’s sunglasses sales. As home owners enjoyed greater alfresco dining opportunities the barbecue stockists that had experienced gloomy performances in 2012 gained a major benefit this year. Of these Asda recorded a 204 per cent rise in sales and saw demand for charcoal and fuel increase by 176 per cent. A lack of rain ensured it was the driest summer in the UK since 2006, while the south- east of England and East Anglia experienced the smallest amount of rain since 1995. It was also the seventh-sunniest summer since measuring of sunlight began in 1929, thanks to 588 hours of sunshine boosted by the 19-day heatwave in July. With this in mind, HTR was intrigued to find out if the exceptionally warm and dry weather had a similar positive impact on the wet leisure industry and if retailers were ‘Hot to Trot’ for success during the summer and autumn. It was certainly the positive case of scorching demand for AquaWarehouse Managing Director and Vita Spa distributor Richard Hart. He believes the prolonged dry weather played its part in ensuring a stunning 40 per cent boom in sales for the USA manufactured hot tubs. Growth in previous years has been achieved despite tough economic conditions and record levels of rainfall but this year, Richard says, the demand has been as hot as the temperatures throughout the summer months. “Even when the weather was poor in previous years we’ve still been experiencing annual growth,” said Richard; “But we have increased our sales significantly over last year by 40 per cent, so I assume that the good weather has played its part in helping us achieve this remarkable increase. Artesian Spas has also experienced a surge in UK sales to shoot way past 2012’s final total and Director Victoria Wrigglesworth believes the hot and dry summer has significantly helped dealers to achieve higher levels of success, combined with the improving economy. hot summer months, ahead of being further boosted by the manufacturer’s autumn launch of a limited edition 735L SE adapted from South Seas designs that will make its official debut during the UK Pool and Spa Expo in February. “Thankfully the economy has picked up this year and we have also been helped by the good weather in the summer, which has been significant for our dealers to achieve success,” says Victoria. by last year’s record-breaking performance of 221 hot tub sales for the Jacuzzi and Artesian Spas dealers despite the country being rain- drenched throughout the summer. This year the cash tills at the dynamic duo’s Hull and Leeds showrooms have once again been ringing on a regular basis, boosted by the dry summer, and the impressive 2012 final total is now set to be smashed after another 12 months of growth. “We’ve done big numbers in previous years when the weather has been poor so this summer’s dry weather has certainly been a bonus and we are going to overtake last year’s figures,” said Paul; “Already we are only a few hot tub sales off our 221 total for last year, so we will definitely smash that figure by the end of the year. After HTR put the Retailer Interview spotlight on Jacuzzi and Spa Crest dealer Franklin Hill of Malibu Hot Tubs in our summer edition, he experienced his best ever quarter of wet leisure trading. Franklin’s decision to relocate his Malibu Hot Tubs dealership to a new showroom next to a busy stretch of the A34 in Yarlet has certainly paid off. 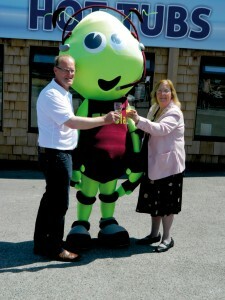 He posted record-breaking sales during his first summer at the new location, following the official opening by Stafford Deputy Mayoress Isabella Davies. “Thanks to the dry weather during the three months of July, August and September I have been able to achieve my best quarter of trading Franklin Hill with Deputy Mayoress Isabella Davies ever in this industry,” enthused Franklin. Franklin also believes that the increase in holidays with inclusive hot tubs has been a major factor in the boost in sales this year. “Rather than just thanking the warm weather for my sales, I think that a big boost for the industry has been the rise of people using hot tubs at holiday chalets and then going out and purchasing one for their home,” he said. Gemma Workman of Rio Pools has not experienced any of the benefits or potential boost from the exceptionally dry summer in terms of hot tub sales. She says, though, that the RotoSpa and Villeroy & Boch dealership has instead been experiencing additional growth success during the hot months on the pool side of the business. 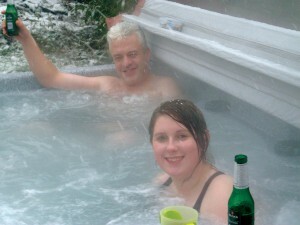 “The good weather has not really produced hot tub customers for us during the summer and autumn months,” said Gemma. Gemma believes the dealership has the capability to impress potential customers once they visit the showroom and she says there will be an increased focus on improving footfall to help generate additional sales during the winter. Jason Smith of RotoSpa says that the British manufacturer’s decision to increase production and sow the seeds for success during 2013 has certainly paid off. The good weather helped to produce a bumper crop of sales throughout the hot summer months and strong orders continued to boost the brand’s status in the UK market during the autumn. “I think that the good weather this year and during the summer has certainly had a positive effect on the industry and we have experienced consistently high levels of sales,” said Jason. Will Welch of Three Counties Pools & Spas sadly says that the dry and hot weather has not provided any additional help to generate extra sales. The head of the Caldera Spas dealership reported that sales were strong last year, despite the record-breaking rain levels, but have slumped this time round, while all of the country basked in glorious sunshine. “From our point of view the good weather has not brought in the extra sales,” revealed Will; “It has been a bit hit and miss for us this year. We’ve had some good weeks and then very quiet weeks. Like many retailers, Will would prefer sales to be consistent throughout the year and not just in the summer months and his team has been following up leads during the autumn to try and persuade potential customers to take the plunge into hot tub use for the first time during this winter. 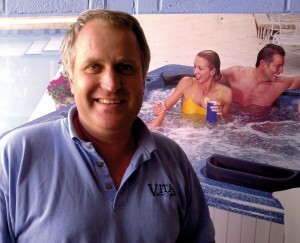 “People seem to be taking a long time to make the decision to purchase a hot tub after visiting the showroom,” says Will. “We’ve followed up our leads again this autumn and people are telling us that they’ve not purchased a hot tub from other sources so they are obviously still holding back for some reason and have not been influenced by the weather. “From what we are seeing a lot more people are using hot tubs in winter and not just summer. If it is too hot in the summer then the last thing people probably want to do is sit in hot water. 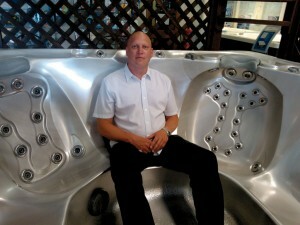 Arctic Spas and Jacuzzi dealer Gareth Bain of Arctic Spas Cymru says the good weather in the summer has helped his sales improve dramatically. This is in stark contrast to last year’s poor performance during the same period. “This year the dry and warm summer has been much better for our sales than the low figures we achieved during the wet weather last year,” said Gareth; “In 2012 we didn’t hit any of our targets. Passion Spas retailer Ian Smith of Cotswold Hot Tubs says that despite a scorching summer his sales have dried up during the hot weather. His current figures are down on last year’s final total but he is hoping to gain a boost from a late surge of demand. “This year what we’ve found is that our Passion Spas are the ones that are pressing most of the buttons with our customers,” says Ian; “Overall, though it’s been a mediocre year. We’ve not been doing as well as last year. This news is a further boost to Passion Spas founder Dolf Nieland, who says the Holland- based brand has increased its sales this year. 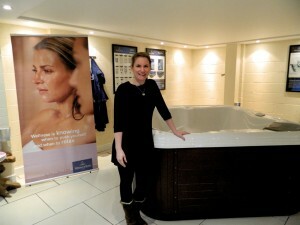 Elite Spas Managing Director Issy Rickards Sanger is convinced that the exceptional weather has been a major influence in the success of hot tub and swim spa sales for her dealers this summer. “The good weather has definitely made a big impact on our sales this year,” says Issy; “And the mild weather has continued into the autumn, despite one or two storms, the temperatures have not yet dropped that significantly. 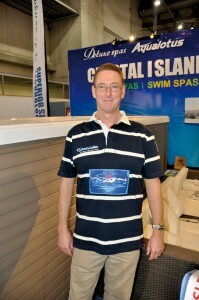 Riptide swim spa distributor and HotSpring retailer Huw Chivers of Hot Tub Barn, says that this year has been a strange one in that orders have been coming in late in the year, following the improved summer weather after an exceptional cold spring. “Last year we made a killing on the Riptide pools early on but, in complete contrast, the cold weather at the start of this year put a long delay on sales. Thankfully, the warm weather helped to balance things out and we are experiencing strong demand for Riptide pools and have eight containers being delivered to meet the late surge of orders. we are gaining Riptide pool interest right into autumn, which should help us to achieve a similar sales number as last year. It’s a complete reversal in how we achieved sales in 2012 at the start of the year. Spa Crest Europe Managing Director Tony Welsby believes the improving economy, along with the dry weather, has played a significant part in the improved sales success for the brand this year. “I think that the good weather was the kick start we needed,” says Tony; “It has been a good year for us and we’ve improved on last year. 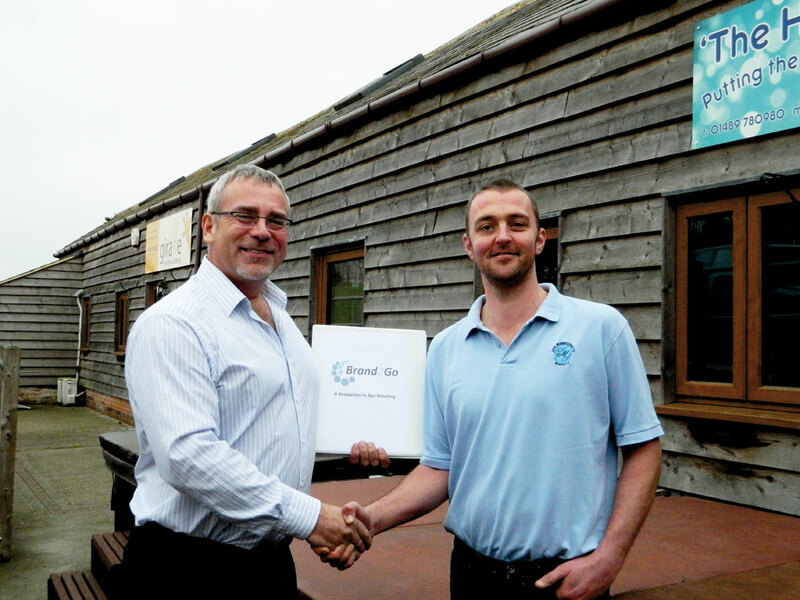 Sundance Spas distributor Golden Coast has made a strong recovery in the second part of the year to record increased sales compared to 2012, which Managing Director Jamie Adams says is due to the exceptional dry weather after a sluggish start to the year. He also revealed that an ‘all weather’ policy is now in place. “At the end of May things were looking pretty dire,” said Jamie; “Thankfully, we were in a position to take advantage when the sun came out in the summer. Our overall sales for the year have increased compared to 2012. 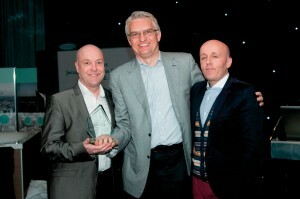 This ensured that we were able to achieve our targets for 2013 that we had set out at the start of the year. Jamie believes retailers have to adapt and perform well in all weather conditions and have to have the necessary strategies in place if they are to survive in the wet leisure industry. “Our strategy has been to weather-proof our business and we have experienced success because of this way of operating,” explains Jamie. “We don’t just want to be influenced by what the weather is doing. Coast Spas, Dimension One, and Jacuzzi retailer Steven Floyd of Freedom Leisure says he has seen a remarkable improvement during this year’s summer compared with 2012. The WhatSpa? Approved dealer is currently enticing customers with four years interest-free finance and reports that entry level customers have increased considerably as a result of consumer confidence being boosted by the improving economy. “We hit a bit of a peak during the summer as a result of the good weather,” said Steven; “Our sales were considerably up on last year during the summer months and demand was fairly consistent. “We’ve been doing some advertising on the radio to let people know we are here and are now starting to see a lot more entry-level customers in our showroom. In the past I think they were probably nervous about spending money on a hot tub when the economy was struggling. Thankfully this part of the market is returning and people are once again feeling confident about purchasing products from us. L.A Spas UK Sales and Technical Representative Sean Aldred says that hot tub sales can, and should, be generated in all weathers. He also believes that having the right quality products and professional showroom strategy can prove to be more crucial to profitability than simply depending on the sun to generate sales. “I think it is hard to tell if the hot and dry summer has had an impact on sales this year,” says Sean. “It certainly helps dealers, I suppose, if it’s not constantly raining for weeks on end. I believe, though, that if you are a professional and committed retailer and you’ve got a good selection of strong, high specification hot tub products in your showroom, with the right prices, then you will sell hot tubs in all types of weather throughout the whole year. Aqua Hot Tubs Director Sunil Sharma says that the good weather and improving economy has been a significant factor in helping him achieve his best ever sales year as a Master Spas hot tub and swim spa retailer. “The good weather has certainly made a difference but it seems that people are now spending their money much more freely than a few years ago,” states Sunil; “This has easily been my best year of hot tub trading since I first became a retailer in 2005.